The Maverick Boat Co. today wraps up a three-day press event in Stuart, Fla., at the Hutchinson Island Marriott Beach Resort & Marina. Maverick builds Pathfinder, Hewes, Maverick and Cobia boats. The company gave nine journalists the opportunity to test and fish from nine different boats across the four brands. 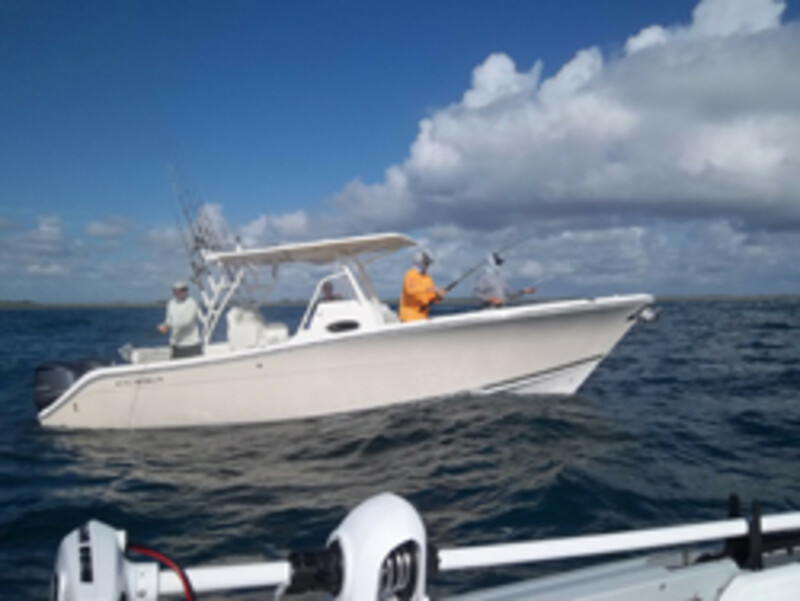 Four of the vessels are new boats — the Pathfinder 2200 Tournament Edition, the 2600 HPS Bay Crusher, the Maverick 17 HPX VII and the Cobia 201 CC. The Pathfinder 2600 and the Maverick 17 debuted at the Miami International Boat Show in February. Maverick unveiled the Pathfinder 2200 TE and Cobia 201 CC at a dealer meeting that preceded the press event. Maverick acquired Cobia in 2005 and has since revamped the entire fleet. The 201 CC retails for just under $40,000 with a Yamaha F150. Although the Cobia is new from the keel up, the Pathfinder 2200 TE uses the same hull as an existing model — the 22 TRS — but has a redesigned deck. It&apos;s $55,520 with a Yamaha F200. The 2600 Bay Crusher excels as both an inshore and offshore boat. It retails for $73,875 with an F250. Pricing for the Maverick 17 HPX VII, a high-end carbon fiber/Kevlar skiff, was unavailable. I was able to fish from three of the boats on Tuesday (and landed one from the Cobia, I might add), and in the evening I caught up with Maverick CEO, co-founder and president Scott Deal, who had also spent the day on the water, piloting a boat with a professional photographer aboard. In this video Q&A, Deal talks about the year ahead, the differences among his four brands and what the consumer expects out of a boat today, compared with pre-recession times.